The second China Centre ‘China in the World’ seminar was held in the Frankopan Hall on Wednesday 27 February 2019. The seminar focused on art in China today. 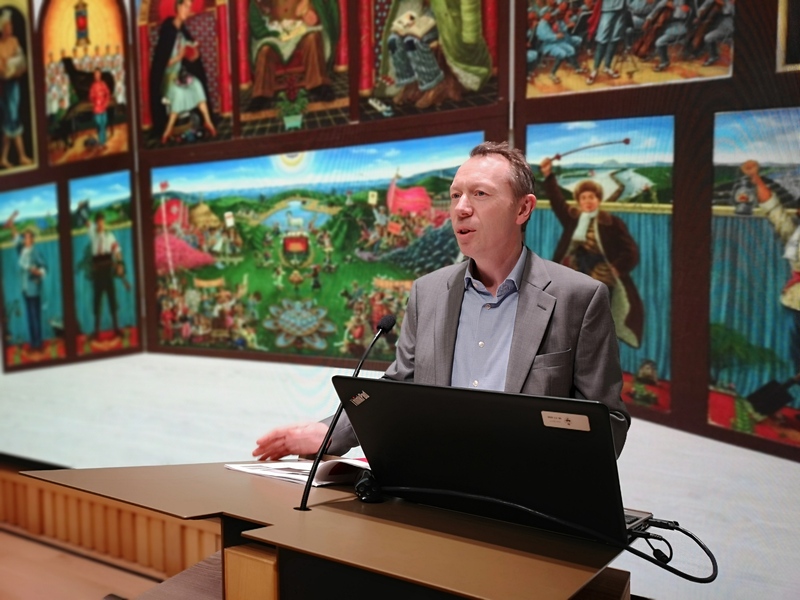 Professor Shane McCausland (Percival David Professor of Art, SOAS, University of London) delivered a wide-ranging lecture on the great variety of art in China today, making extensive use of linkages between modern and traditional Chinese art. This was followed by a lecture by Johnson Chang, a widely known expert in East Asian art and its cultural context. He distinguished between the different categories of art in China today. 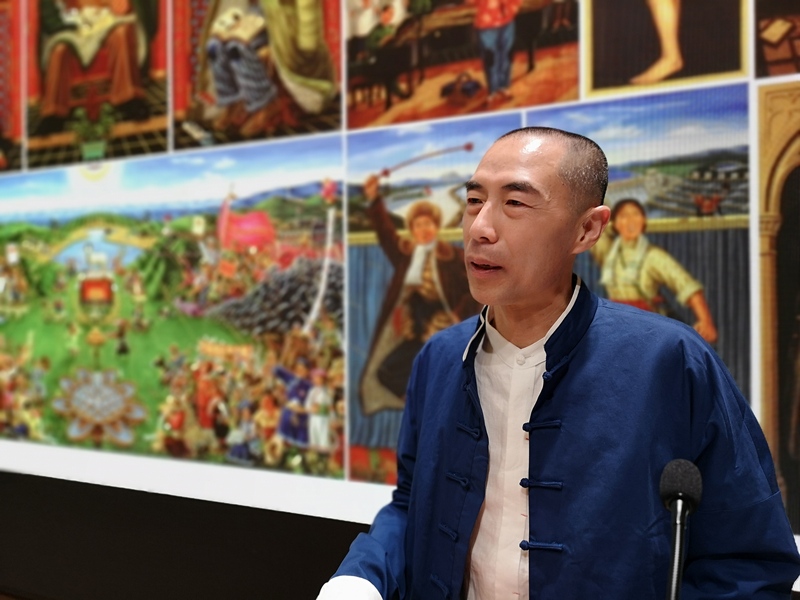 The event culminated with a lecture by Professor Liu Dahong, a contemporary artist and supervisor of graduate art students in the College of Fine Art at Shanghai Normal University. He provided a detailed exposition of one of his best-known paintings, a large-scale work, which draws its inspiration from European medieval altarpieces. 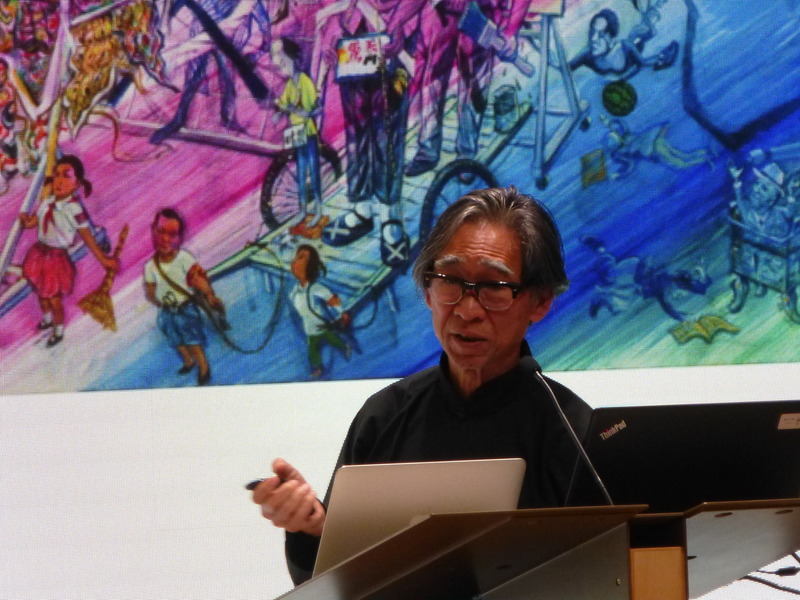 The three lectures together provided a rich insight into the wide range of art in China today. The seminar concluded with a lively interchange between the three speakers and the audience. Professor Liu's visit was supported by Jesus alumnus Dr Paul Aiello (1987) and his wife Caroline Chiu.